pgAdmin is a free, reliable, open source graphical query tool that can be used to access any postgreSQL database. A wealth of information about pgAdmin is available on the internet including the pgAdmin III Documenation Website. 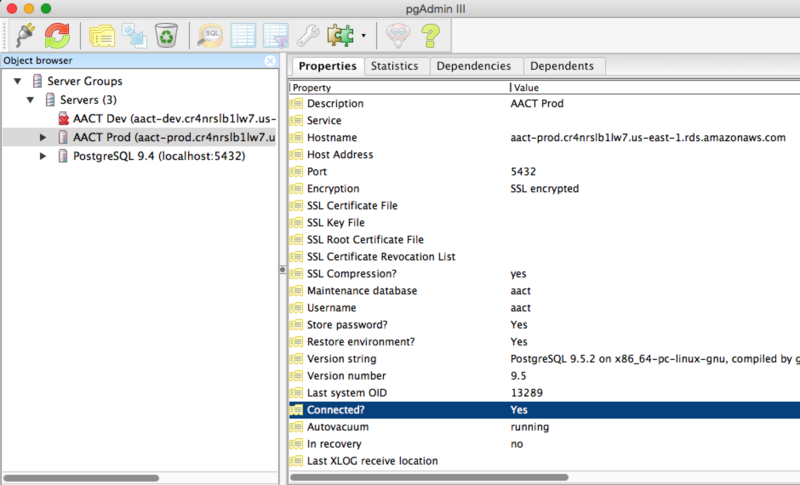 Using pgAdmin necessitates that you install postgreSQL on your local machine, even though you need not download the AACT database to your local machine. Use of this tool assumes a basic understanding of SQL. 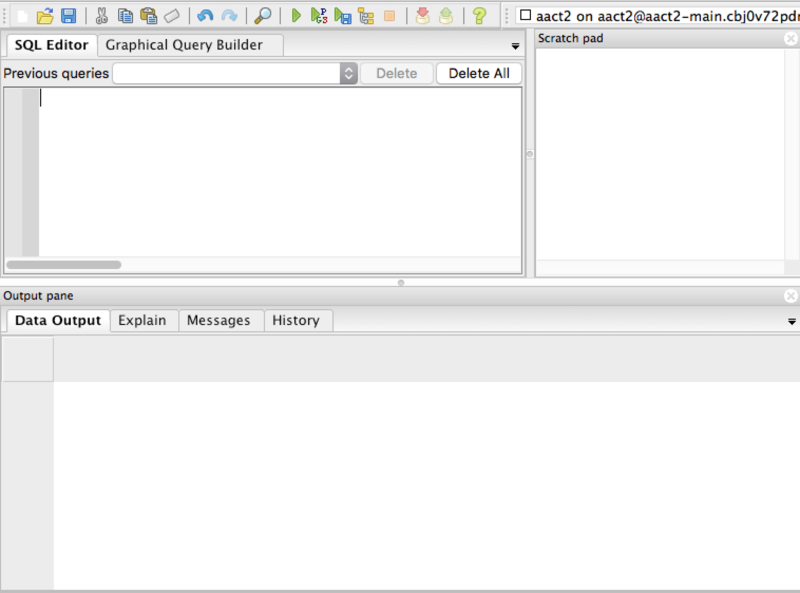 AACT is currently running on version 9.6.6 of PostgreSQL; it's recommended you install this version or higher. Refer to PostgreSQL Downloads for free software and installation instructions. Get a current version from the pgAdmin site. Download packages for MacOS are available here. Download packages for Windows are available here. The following instructions present examples for pgAdmin3 on a PC. Screenshots will appear differently for other versions and/or operating systems. Once pgAdmin3 is installed, launch the application and click on the plug icon in the upper left of the top menu bar. Enter "New Server Registration" info with the following credentials and press [OK] in the lower right of the dialog box. 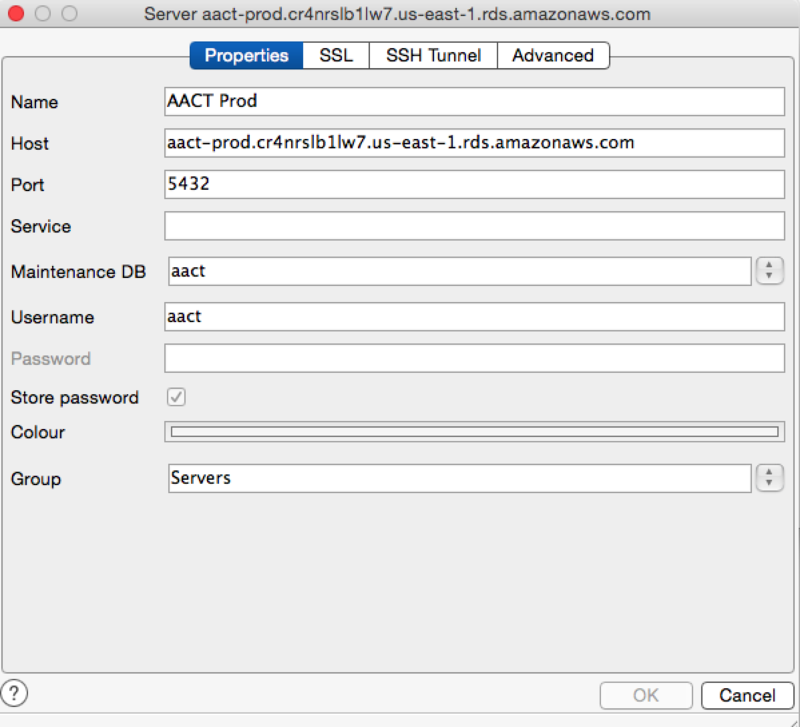 Click the AACT server icon that was just created in the left pane and scroll to the property in the right pane to confirm that 'Connected?' status is 'Yes'. 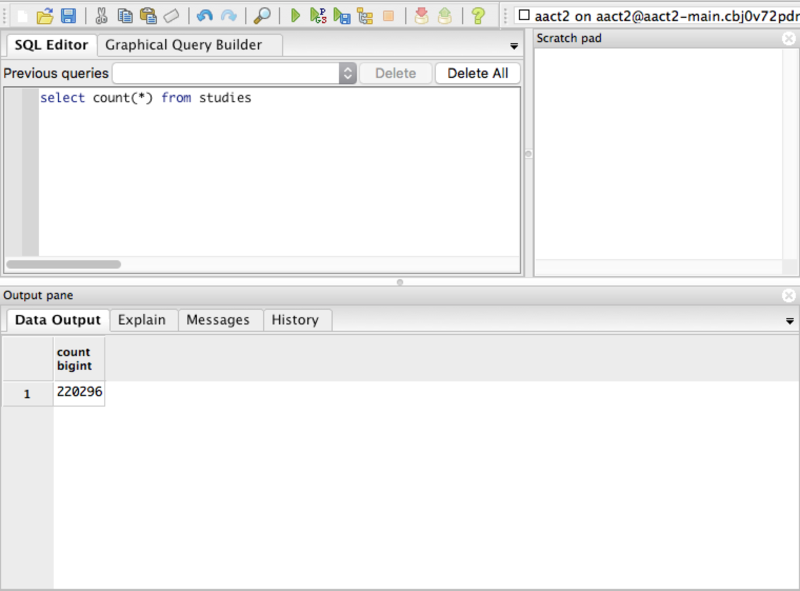 With the AACT database selected, click the 'SQL' icon from the top menu bar. This will trigger a popout dialog tool that allows you to enter SQL queries. Enter queries in the SQL Editor in the upper left, and run them against the AACT database by pressing the green triangular play button.